Paypal is a world famous online payment company in the world but unfortunately paypal has not any service in Bangladesh .As a result Bangladeshi young freelancer are facing difficulty to receive their payment from foreign company . But nothing to worry about that because payoneer is one of leading online payment company specially for freelancer .Now Payonner is working in Bangladesh .Any freelancer can use payonner account for online payment . For Bangladeshi freelancer payonner is the best alternative for online payment instead of Paypal. Payonner is a online payment company for freelancer ,affiliate etc. 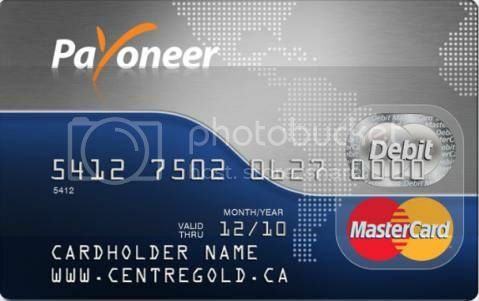 Payonner provide you a free debit card for your transaction world wide . So do not delay if are frlancer in Bangladesh and you are looking for your online payment just open an account with world leading payment company Payonner. For more details watch this video . How to load money in payonner account or card? How to get free payonner Debit card from Bangladesh? What is payment option for Bangladeshi freelancer . How to get online earning money in Bangladesh? when Paypal will come in Bangladesh ? How to make online transaction in Bangladesh ?